The 1980s were a time of very active American military intervention around the world. All of these American wars of aggression were avoidable and unnecessary. 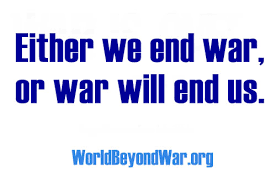 America waged avoidable wars in Grenada, El Salvador and Honduras. America supported Israel and Egypt with war on Lebanon. The U.S. -Iranian conflict began with the fall of the Iranian Shah. America supported and funded Iraq in a war of aggression on Iran in the Gulf region. In 1981 U.S. military advisers were sent to El Salvador to assist in training government forces in counter-insurgency. The U.S. engaged in unnecessary conflict with Libya in 1981. On August 19, 1981, American planes based on the carrier U.S.S. Nimitz shot down two Libyan jets over the Gulf of Sidra after one of the Libyan jets had fired a heat seeking missile. The missile was fired because the United States continued to illegally occupy the Gulf of Sidra, which was recognized as Libyan territorial waters. 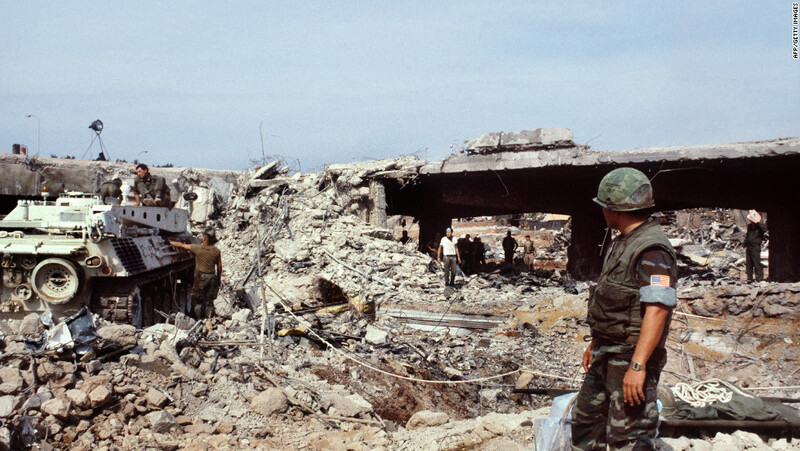 –On August 21, 1982, President Reagan dispatched 80 marines to serve in the multinational force to assist in the withdrawal of members of the Palestine Liberation force from Beirut. The Marines left September 20, 1982. 1982-1983 –On September 29, 1982, President Reagan deployed 1200 marines to facilitate the restoration of Lebanese government sovereignty. On Sept. 29, 1983, Congress authorized continued participation for eighteen months. 1983-89 Honduras–In July 1983 the United States undertook a series of exercises in Honduras that led to conflict with Nicaragua. On March 25, 1986, U.S. military helicopters and crewmen ferried Honduran troops to the Nicaraguan border to repel Nicaraguan troops. –On August 8, 1983, President Reagan deployed two AWACS electronic surveillance planes and eight F-15 fighter planes and ground logistical support forces to assist Chad in their war on Libyan and rebel forces. 1983 –On October 25, 1983, President Reagan signed off on a landing on Grenada by Marines and Army airborne troops. 1984 Persian Gulf–On June 5, 1984, Saudi Arabian jet fighter planes, aided by intelligence from a U.S. AWACS electronic surveillance aircraft and fueled by a U.S. KC-10 tanker, shot down two Iranian fighter planes over an area of the Persian Gulf. On March 24 and 25, 1986, U.S. forces were again invading the territorial waters around the Gulf of Sidra. Their invasion was repelled by Libyan missiles and the United States responded with missiles. 1986 Libya–On April 16, 1986, President Reagan reported that U.S. air and naval forces had conducted bombing strikes on facilities and military installations in Libya. struck mines or taken other military action on September 23, October 10, and October 20,1987 and April 19, July 4, and July 14, 1988. The United States gradually reduced its forces after a cease-fire between Iran and Iraq on August 20, 1988. 1989 Libya–On January 4, 1989, two U.S. Navy F-14 aircraft based on the U.S.S. John F. Kennedy shot down two Libyan jet fighters over the Mediterranean Sea about 70 miles north of Libya. 1989 Panama–On May 11, 1989, President Bush ordered a brigade-sized force of approximately 1,900 troops to augment the estimated 11,000 U.S. forces already in the area. 1989 Andean Initiative in War on Drugs— On September 15, 1989, President Bush announced that military and law enforcement assistance would be sent to Colombia, Bolivia, and Peru to combat drug producers and traffickers. By mid-September there were 50-100 U.S. military advisers in Colombia in connection with transport and training in the use of military equipment, plus seven Special Forces teams of 2-12 persons to train troops in the three countries. 1989–On December 2, 1989, President Bush reported that on December 1 U.S. fighter planes from Clark Air Base in the Philippines had assisted the Aquino government to repel a coup attempt. In addition, 100 marines were sent from the U.S. Navy base at Subic Bay to protect the U.S. Embassy in Manila. 1989-90 –On December 21, 1989, President Bush ordered U.S. military forces to Panama. By February 13, 1990, all the invasion forces had been withdrawn. 1990 Liberia–On August 6, 1990, President Bush reported that a reinforced rifle company had been sent to provide additional security to the U.S. Embassy in Monrovia, and that helicopter teams had evacuated U.S. citizens from Liberia.